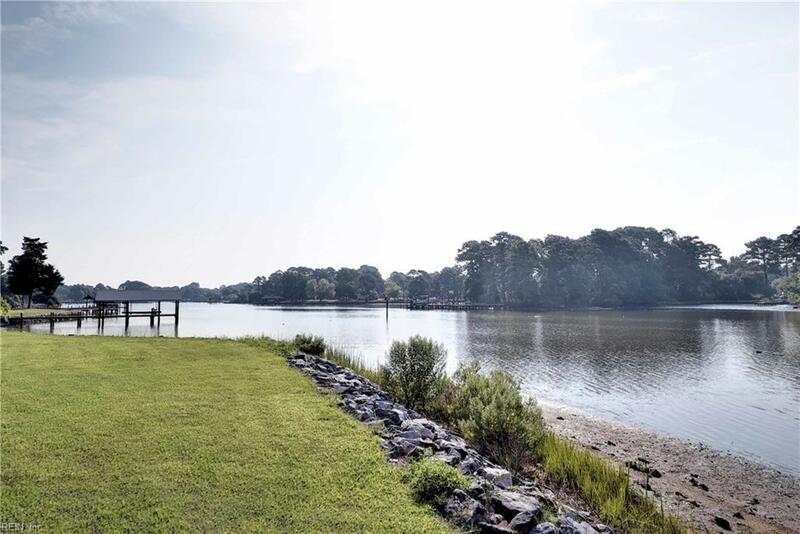 32 Curle Rd, Hampton, VA 23669 (#10224802) :: Abbitt Realty Co. 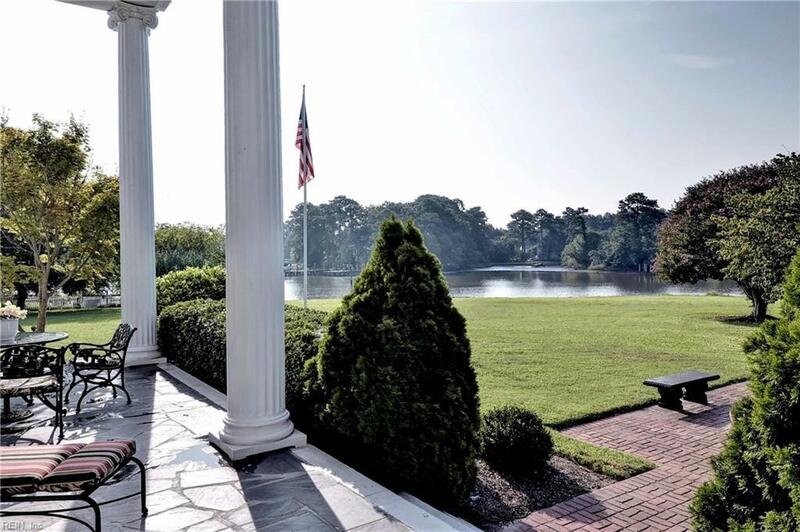 Historic "Bell View on the Hampton Waterfront is nestled on 2.33 Acres and features approximately 655 linear feet of Hampton River and Creek shoreline. Conveniently located just minutes from Mercury Blvd. 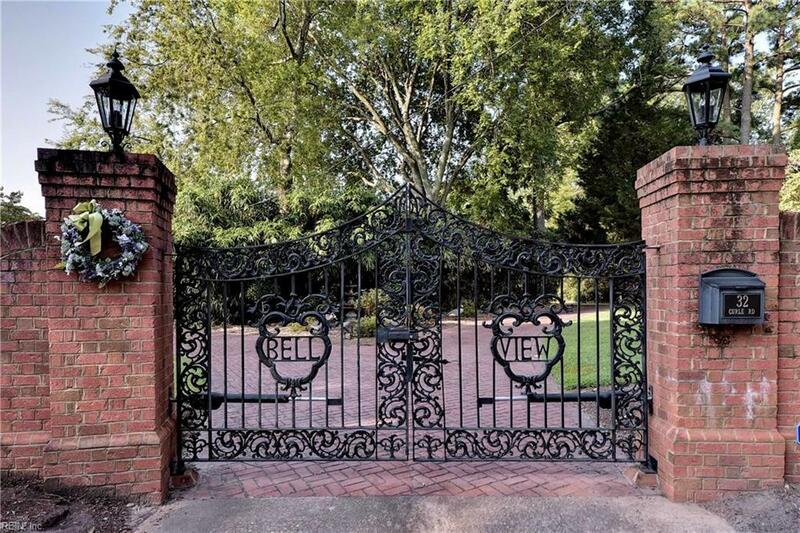 and I-64, enter the impressive wrought-iron gate to the circular brick drive and be dazzled by Bell View! 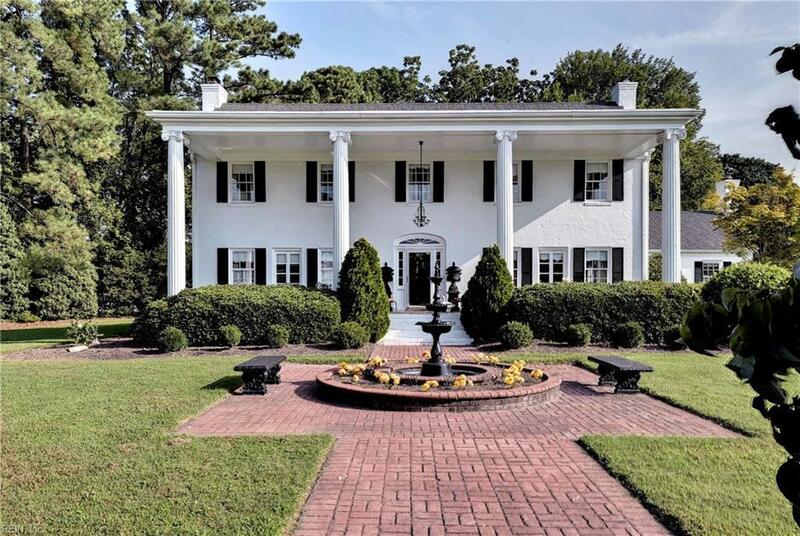 This gracious and comfortable home exhibits the enduring appeal of traditional architecture, featuring columned veranda, front-to-back entrance foyer, 4 exquisite gas fireplaces with Italian marble mantels, hardwood floors, extensive moldings, and spacious rooms. Second front entrance conveniently opens to the gleaming country kitchen with fireplace and white porcelain & granite floor. Stairs to big attic. A 2 story waterside terrace overlooks the manicured grounds and water. There is a fully equipped guest cottage and an additional ancillary building for garden equipment and storage. The circular brick driveway provides ample parking for cars and guests.